Mumbai: Embarking on one of its “biggest" marketing blitz, Finnish handset maker Nokia is all set to paint Jet Airways aircraft as well as taxis and buses with advertisements of much-awaited Lumia smartphones. “This will be the biggest advertising and marketing blitz that Nokia India has launched for any product so far. Its called Amazing Everyday, and very soon you will see Jet Airways aircraft painted and branded with Nokia Lumia colours. “We will also do the same with cars, taxis and buses," Nokia India Western regional general manager Prashanth Mani said. 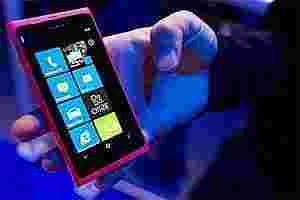 The Finnish major plans to target youngsters in the age bracket of 22-24 years for its Lumia smartphones. “We intend to target young working people, who are in their very first jobs. Our marketing campaign is intended to target young people," he said. He refused to answer any questions about Nokia’s reported plans to launch a tablet in 2012, even as French publication ‘Les Echos´ recently quoted Nokia France Head Paul Amsellem as saying, “In June 2012, we will have a tablet that runs on Windows 8." Nokia India is working closely with telcos for 3G data tariff packages to be bundled along with its Lumia smartphones, he said. “Besides this, we have also trained 12,500 people all over the country to provide assistance to consumers. We are also working with 1,000 developers across India to develop smartphone applications using the Microsoft Windows Mango 7.5 platform," Mani said. Despite using the Mango platform, Nokia intends to have phones running both ‘Belle´ and ‘Anna´ versions of its Symbian operating system, at least until 2016, he said. “We believe that the market globally has evolved from being a battle of devices to a war of ecosystems. We are working with Microsoft to create a third mobile ecosystem and are investing with Microsoft to create a winning ecosystem in India ahead of the launch," he said.